London is a great travel destination because its classic vibe can make people at ease. Besides, London is home to over 250 registered art institutions. That’s why it is such a great idea if you decide to travel to London because it is one of the greatest cultural capitals. There are many museums you can explore when travelling in London. It is like incomplete journey if you visit London without stepping into the museums. Museums are intellectual landmarks of history and arts. Thus, visiting them while you can is a priceless experience. Besides, most of museums in London is free of charge. Where can you find this opportunity? 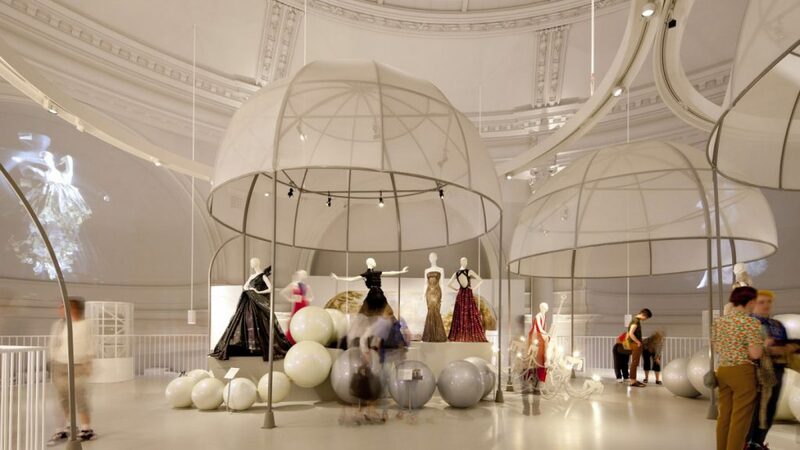 Victoria and Albert Museum is located at Cromwell Rd, London SW7 2RL, UK. People also call it the V&A museum. Even from the entrance, you will feel enchanted with its grandiose vibe especially when glass chandelier hanging above your head. This museum was established in 1857 and consists of seven floors. There’s so many collections inside including the notebook of Leonardo Da Vinci, Shakespeare’s works, Picasso’s ceramics, and many more. British Museum is located at Great Russell St, London WC1B 3DG, UK. This is a must-visit museum in London hosting most valuable collections such as Egyptian mummies, Easter Island figures, etc. Most visitors even preplan their visit by mapping out the highlights beforehand. One of the most favorite spots in this museum is the Reading Room. National Portrait Gallery is located at St. Martin’s Pl, London WC2H oHE, UK. This is where you can find the most interesting photographs. There’s Spice Girls white and black photographs, Bronte Sister’s and William Shakespeare’s oils, as well as mixed media portrait of the infamous J.K Rowling. There are other collections of photographs as well that you can enjoy to see. Science Museum is located at Exhibition Rd, London SW7 2DD, UK. This is a perfect place for science lovers. This is where you can technological, scientific, and mathematical achievements though interactive exhibits, flight simulators, and IMAX Theater. Even though it is about science and technology, it isn’t boring to venture into this museum. This place is not only popular for kids but adults as well. Churchill War Rooms is located at Clive Steps, King Charles St, London SW1A 2AQ, UK. This is part of The Imperial Museum. This is where the history of British conflict starting from WW1 to present is preserved. Churchill War Rooms is a subterranean bunker under the street of Westminster. There’s underground labyrinth you can venture to. There are several corridors as well which used to be shelter during German air raids in the past. If you are into history, this museum is a paradise for you. Why You Will Need to Try a Fishing Trip? Many people may are disgusted by the fishes smells. 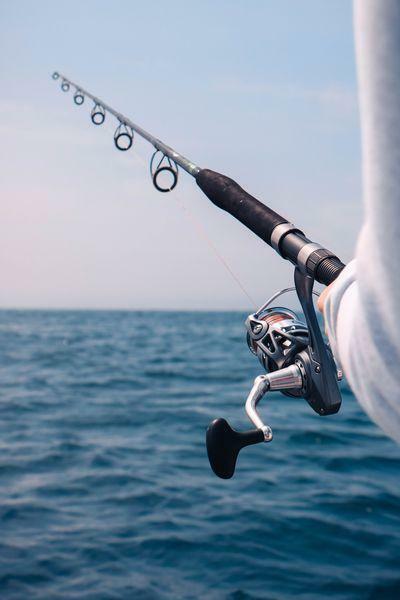 But if you have no allergy at all to fishes whether holding them or eating them, I am recommending you that you need to gives the fishing trip a shot for at least once in your life. I am a fishing enthusiast so I am telling you this. But, that won’t be the only reason why you have to takes it. There are more than what I could say that I am going to show you some of the benefits when you are deciding to experience the fishing at the open wide sea or even on the river stream and any possible spots. My favorite place for fishing is surely at the sea. I’ll heading there if I could since I was born and raised up beside the sea. And when people are asking me the reasons why I do really enjoy fishing, they sometimes don’t really get what I have told them since maybe I am too fool to explain them all. But overall, fishing is making me happy no matter I am getting the big catches or not. No matter waiting for the “strike” will be hours and only get the small one, all of the things I experienced when fishing is the beautiful moments in life. I dunno how we can debate about this, but surely that fishing allowing you to make a journey to somewhere and you will also enjoy not only the fishing itself, but also the beautiful seascape or the challenging landscape when you are heading to the river at highland. The different is that, while you can enjoy the other things you meet on your journey, your main thing to do is fishing. Just like when you want to dive the underwater, you can be accompanied with the boat to the dive spots while enjoying the view. Fishing is one of the healthy trip since it is also one of the the sports in the world. Throwing the hook, pulling up the catch and many more are involving many of your body part. Sweating on the water? It can not only by the hot sun, but the movements you are continuously done when fishing. As a kind of traveling, fishing surely will also contributing in getting your mental even better. So does your body and your soul when seeing the infinity seascape. In the other hands, fishing in the morning can also be recommended since our body can really absorbs the vitamin D from the ray of the sun that can help your bone’s development. Being at the ocean sometimes will be giving you surprises. What about the waves that can make the boat to be here and there? But if you can experience that, it can really help you feel relieved from the stresses. Take it easy, you don’t have to finds the bigger waves for that. Even the small one can be good for us. 5. Fishing can’t be as interesting as you have expected? Enjoy the sailing! The worst thing you can get by following my recommendation is that you are not really enjoy the fishing as I have explained. But, when you are on the boat, don’t you think that you still have some interesting things to be done? Feel free to enjoy the sailing, you can also decide to snorkeling or diving or swimming. So, you are not really wasting your times. Lots of Travel experts advise you to travel with a thorough plan. It is not wrong. Planning your trip will put your mind at ease because you have everything arranged so that you are already prepared for what’s coming. For first time travelers, planning your trip is important because then you have clear pictures of what to do or where to go during your trip. This way, you won’t feel so lost especially when it is your first time travelling abroad. You need everything in check to stay in control so that you won’t get panicked. However, it is recommended to travel without a plan once in a while if you travel frequently. Flexibility is the first and most obvious benefit you get from zero-planned travel. You won’t need to stick with one itinerary because you didn’t book anything in advance. If you have something different in mind, you can easily change accordingly. There is no pressure of what to do or where to go either. Travelling without plan can also put your mind at ease just like travelling with one. It is because you are not bounded to strict schedule. If your flight is delayed, you won’t be worried about it. Another benefit is being able to enjoy as much as you can without limited by time. You see, those who are travelling with plan are so stick with their schedule. They plan how long they should spend to visit a gallery and when they have to move on to the next destination. In the end they don’t really enjoy the place they visit because they focus more on visiting as many places as the time allow on their schedule. Therefore, travelling without plan allow you to enjoy the place you visit for how long you like it to be. The pace is absolutely yours to set. There is possibility for you to experience serendipity. This mostly happens when you don’t plan to find it. Travelling without plan means you learn how to go with the flow. You just move forward with flexibility so no pressure on your mind or shoulders. Travelling without plan is fun and all. However, it is not recommended for first time traveler. If you are not flexible person, travelling without plan can be much more stressing as well. Thus, you still need to calculate everything thoroughly whether or not you really want to try travelling without plan. Make sure that you should expect the unexpected when travelling, with or without a plan. You can also start by planning your trip in not-so-detailed manner before going for a trip without plan at all. This make a smooth transition. When travelling is your favorite things to do but you are afraid of flying then it can be a big issue you need to overcome. It is not uncommon for people to have certain fear of flying. Well, being high up in the sky sometimes can be a scary thing. For those who are fear of height, flying can also too stressful and too terrifying. However, it is still solvable as long as you don’t have severe phobia of flying or some sort. If you are fear of flying for long haul that it can make your anxiety spikes up, you can do something to overcome it. 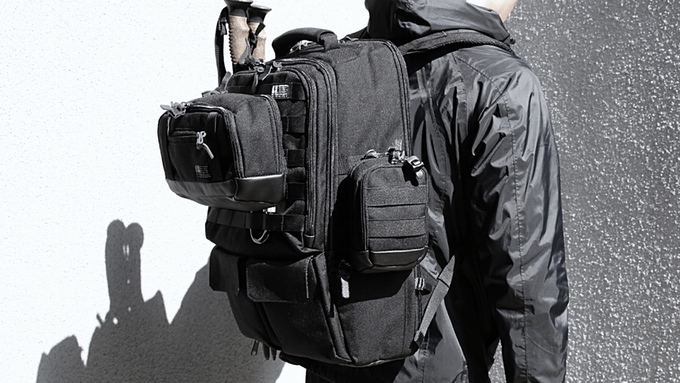 Thus, your hobby of travelling around the world won’t be full of hassle anymore. Finding more information about how airplanes work. It is often that the fear comes from the thought that an airplane will automatically fall down once the engine fails. However, it is not entire true. The airplane still able to work that way. Finding more about turbulence and something related to it will also help you to know what to expect. To make your fly more bearable, you can request seat assignment. If you are more into claustrophobia, you can request an aisle seat. It will also help if you familiarize yourself with the plan. Once you sit on your seat, you can take a look at your surrounding and take a breath. It gives you time to adjust with your surroundings. When the time to fly rolls around, you will be more comfortable. Get rid of negative thoughts before and during flying. For example, the night prior to your flight, make sure to not watch movies related to airplane crash, accident, and some sort. Avoid reading news with scary images of disaster or crashes. Instead, try to think positively. Try to focus more on things you are going to do when you are arrive at your travel destination. If you travel with friends, distract your mind by having light conversation. Or, you can also chat with your neighbor seats. Talking interesting things with people before and during your flight can be helpful to distract yourself from bad thoughts and anxiety. Make yourself comfortable during the flight. You can read your favorite novel, watch fun movies, or listen to soothing music. make sure to regulate your breathing as well. It is also recommended to drink plenty of water to make you stay hydrated. However, avoid drinking caffeine since it can trigger your anxiety instead of relaxing. You can drink mineral water, juice, or tea to help you hydrated and relax. Flores is one of the most beautiful places in Indonesia. If you only know Indonesia for Bali then you need to explore more. Flores is considered more unique compared to other regions in Indonesia. Its distinctive cultures are the highlight of the place. There are unique festivals and bizarre rituals you can witness when visiting Flores. This place is also full of natural beauty started from stunning beaches to beautiful caves. To learn more about the culture in Flores, one of the best ways is to visit the traditional villages. There are many of them in Flores you can visit during your holiday. Todo traditional village in Manggarai is where you can find ancient home of the royal clan. A king names Mashur and his clan decided to stay at this village centuries ago. The village itself is situated high up in the mountains so you need to hike to reach the location. It is surrounded by stunning view you can enjoy all the time. There are ritual stone, and also ceremonial house used by villagers to worship their ancestors. Circular houses about 25 meter in diameter are decorated with wood carvings. Tutubhada is the oldest village you can visit. The houses in this village are unique. The roofs has unique shape. However, you won’t find any wall. Supporting poles consist of wood carvings and ornaments. There is always ceremony held when one of the villager build a house. The ceremony involves buffalo slaughter as sacrifice. There is also traditional boxing event you can enjoy only in this village. 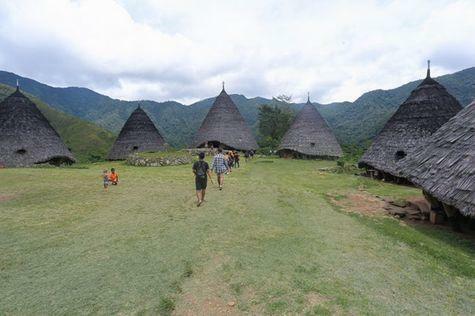 Wae Rebo village is where you can stargaze and witness the Penti festival. Located in the West Flores, this village known for its cone-shaped housing. The village is situated on an idyllic mountain so the view surrounding is beautiful. To reach the village, you need to hike for five hours. However, it is worth it once you arrive. You can stay in one of the villager’s houses. At night, you can stargaze to witness the stunning Milky Way from the hilltop. There is also the Penti festival, an annual festival about ancient culture held every November. This festival is Wae Rebo people’s New Year’s Eve. Watublapi village is one of ikat weaving villages in Flores. This village use the old traditional method in making ikats. The villagers use natural resources such as plants grown for the dyes and local cotton for handspun yarn. Aside from buying organic handmade souvenir in the form of ikats, you can also learn how to make it form the villagers. This is one of the best way to support local community. How To Get The Better Custom Hammocks For Your Trip? Travelling with a hammock is interesting. It can even be the first and main reason why you wanna go out there and experience the world since it is able to encourages and motivates you to do so. And today, we have actually been introduced to the present of the custom hammocks where they could really the ones we are looking for. Any customisations that you can apply to your items or stuffs can bring you more benefits you have never got before. It is one of the thing that you can get from a hammock since it is surely one of the best travel and relaxation item that can be customise in any possible ways. Nowadays, it can’t be the new thing anymore to find the hammock manufacturers that can be customised where you have more options about what you will have on your hammock. Through the custom hammocks feature, you are possible to choose your own colours that are representing you. You are also possible to think about which gears will be included that will really support the usage of your own hammock at anywhere. So do the other supporting accessories that can make yours becoming the professional hammock you’ve ever built. The thing is that, finding your best customisable hammocks can be challenging and confusing especially when it is the first time for you to get yours. You may are thinking that you need to try to uses it and then deciding to customise your hammock base on your need and budget. 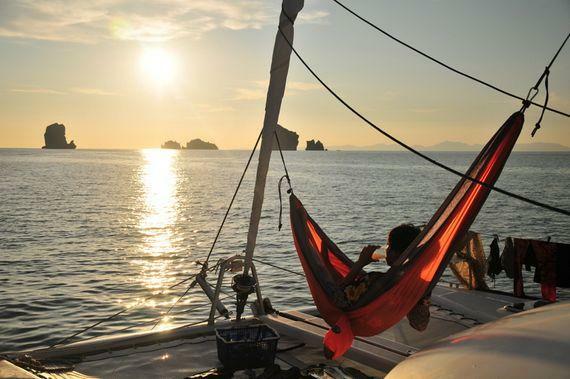 If you are really new to all of the things that relate to a hammock, especially when you want to plan your own customisable gears for your trip, you’d better know some of below recommendations. Getting a hammock with your own favourite colours won’t add an extra benefits to it. Your hammock can’t be safer and more comfortable just by doing that. But, it may will benefits your inner since it is always interesting if we could get an item base on our own preference. There are still some manufacturers that can help you with that where you are possible to have a hammock with the colours that are totally different with the others. The hooks and carabiners are mostly used to hang a hammock with the right balance regardless to the distance between the mounting points and the ropes or the straps. The hooks themselves are super easy and fast for the installation while the carabiners can be great to be used to hold the heavy loads so they can be more safer to be brought to the outdoors. The carabiners will really be recommended especially if you want to setup the hammock at the extreme spots. 3. Will you need the tarp for your hammock? The next custom hammocks accessory you have to think about is the tarp. It is as simple as to get comfort by avoiding the shiny sun and the rainy day or the snows when you are out there. But if you are really need to buy a hammock and will only uses it at home, then you may won’t skip this first for the moment and decides it later. When you are camping at outdoor, sometimes you will have to leave the hammock for a moment to start exploring the surrounding or when you want to find the firewoods for making campfires or cooking. That moment you mostly won’t turn down the hammock from the trees, right? In the other hands, you think that you want to folds it for awhile and makes it neat so the wind won’t also flicking on it. You can makes use of the sleeve for that in a faster way to fully coverage the hammock in just seconds. It will also beneficial for your hammock to prevents the depreciation so you can uses it longer and to avoid the hot sun that may cause the faded colours of your hammock. To setup the hammock, you will at least to get the straps or the ropes for its suspension system. They will help you to reach the nearest stands or the trees you have found. If you are asking me which one to get among the two, I’ll happily recommending you to get the straps since they are mostly the tree-friendly item than the ropes. Surely that there will also the ropes that aren’t too rough for the trees, but I think that the straps are easily to find from most of the available manufacturers even though the price can be a bit expensive than the ropes. Deciding which one to use for your suspension system is also the step where you are planning about to experience the hammock by leave no harm to the trees where they don’t deserved. Those are some of the recommended tips, gears and accessories that hopefully will help you to get your own better custom hammocks. When it comes to Bali, it is about the heaven for water sport like scuba diving. This is one of the most favorite activities done by most visitors in Bali. This is when you can enjoy the beauty of the undersea. Biodiversity underwater is beyond imagination, especially in Bali. However, it is important to understand more about scuba diving in Bali including its safety and hot spots. There are many popular spots for scuba diving in Bali. If you visit Bali purposely for scuba diving, might as well find out more about so that you can pick the best spot to conquer. Spending your holiday in Bali means you have many chances to do various water sports including scuba diving. There are many points for scuba diving in Bali you can pick. However, it is best to choose the spot according to your ability as well. – The best time to dive in Bali is around August to the end of October. That is the peak of diving season in Bali. During this peak season, you have greater chance to see Mola Mola fish, the giant creatures which weigh around 247 to 1,000kg. If you don’t want to involve with the crowd of other divers, you may choose to dive in January to March. However, you can actually dive anytime since Bali has always perfect climate. – There are many diving sites you can conquer. The most distinctive diving areas include Padangbai and Candidasa. These are more recommended for advanced divers. Those diving sites are located in the East coast. It is important for you to find out more about underwater visibility, temperature, as well as cost of diving, and many more important stuffs about diving in Bali. This will help you decide where to dive and how to do it safely. – If you are beginners in diving, might as well choose suitable sites. There are many diving sites dedicated for beginners such as Menjangan Island, located off the coast of northwest Bali. Marine life here is incredibly majestic with clear visibility. There is also Pemuteran where you can find underwater temple. It is located in northwest Bali. This is also where coral restoration program utilizing Biorock is. Another favorite diving site for beginners is Puri Jati. However, this is also popular amongst experienced divers. Here you can meet the mimic octopus that can imitate dozens of other createures as defensive mechanism. – As for accommodation, you can choose one of many dive resorts such as Menjangan Dynasty Resort, Alila Manggis Bali, Rama Candidasa Dive & Spa Resort, Gedong Gandhi Ashram, and many more. Thus, you can stay at luxury and enjoyable place when you are not busy diving and exploring the underwater. Some resorts even provide Glamping service. Thus, you will experience vacation to the next level. Vacationing In Seminyak Villas Is Considerably Important, Here’s Why! Renting Seminyak villas can be less than the cost of equivalent of the hotel rooms in Bali. Even you must have been known that a villa can worth some of the hotel rooms with more affordable prices and more complete facilities. So that, this type of accommodation is importantly considerable for any kind of travelers who are visiting Bali. That is actually can be included to the reasons why Seminyak villas themselves are what you are looking for as the main accommodation in Bali. Those villas can also be the places to experience the beauty of your holidays as well since they can’t only be as where you are going to stay, but have been completed with amenities that can help you spend the meaningful moments inside the accommodation. So that, I have been listed some of the advantages why choosing Seminyak area in Bali over the others and renting one among the available villas is important for your vacation. Here are they. Staying in a villa will allows us to feel like living at our own home. It is because the design of the villa itself that is looks like a house no matter the design concept has been applied. By the location that is near to the beach, heading to Seminyak will really helps us to settle in and relax, even way better than at your home which means your vacation has been started in the right place. Most of the villas are also identically with the spaciousness for all the rooms that will help you to create the tranquility environment so you can move comfort here and there without being afraid that there will be someone strange disturbing your stay. 2. High privacy is guaranteed! There’s no such a perfect high privacy in this world, but if we have to start talking about it, then one place you can experiences it is at the villa that you are rented for your accommodation. Most of the available Seminyak villas are allowing us to enjoy our stay in seclusion and intimacy either when we are at the outdoor or indoor. If you are staying in a hotel room, mostly there won’t be a term of privacy when it comes to enjoy at outdoor, right? Staying close together is what actually the villas are for. This is the ideal accommodation for family or corporate retreat in Bali. Even though that everyone will stay under the same one roof, each of us will still have our own sleeping areas or bedrooms while there will always the common rooms for everyone to socialize. For companies and family vacation, I think it is even making any sense that renting the Seminyak villas in Bali is an important option to get to stay proximity close each other. We can also talk more about the amenities such as the private pool, the services and more that have became the advantages of staying in a villa as general, but I am afraid that we won’t reaches an end when talk about them all. So that, the 3 above reasons can be enough for now. Just like any other cities, there should also some accommodations type you can choose. 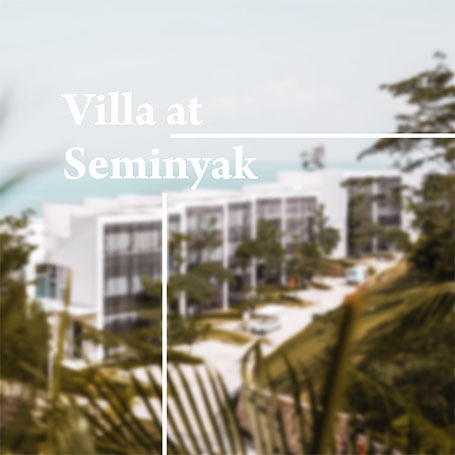 Seminyak villas are considerably important since they can be perfect for families while the others are specially built for the corporate travelers along with all advantages they are bringing to us. So that, make sure to rent one for getting together and reconnecting with family and friends or rewarding the hard work of the company while vacationing in Bali. Dive enthusiasts are no stranger to the place known as Raja Ampat. It deserves its name as a hidden paradise. Is Raja Ampat among your bucket list as a traveler? Just getting to Raja Ampat currently took a whole day out of your trip. And that’s when you’re already in Indonesia. Bali or Jakarta, to be precise. If you’re landing at other places in Indonesia, then it may take longer or quicker, depending on where you land. Peace, tranquil, unspoiled lands. Because of the remoteness of Raja Ampat, the place is truly the embodiment of pristine. If you’re coming to Indonesia for its white sandy beaches, then Raja Ampat is one of the best places there is, and more. 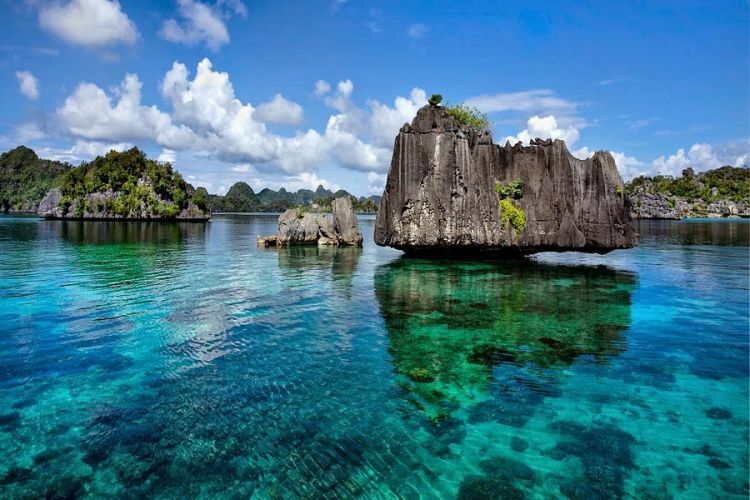 But because it’s just so difficult to get there, Raja Ampat until now has not faced mass tourism. Once you get there after the lengthy journey, you’re going to feel as if the place is yours alone. Marine biodiversity in Raja Ampat is simply extraordinary. Dubbed as “The Crown Jewel of the Coral Triangle,” Raja Ampat is beyond rich in marine lives. Simply put, Raja Ampat’s underwater scene is the most incredible there is on earth. It’s been discovered that around 75 percent of marine lives known to humans exist in Raja Ampat. Approximately 3,5 million ha areas are protected by the government. There are over 1,400 species of coral reef fishes in the area alone. The term paradise on earth is not an exaggeration. However, the marine life in Raja Ampat is not without threats. The threat of mass tourism is one of them. Which is why the remoteness of Raja Ampat is a good thing. Ouch for more extra fees. But again, like the difficulty in reaching this place, this is actually a good thing. Raja Ampat marine biodiversity is a part of priority for both Indonesian national and global conservation. Depending on your mode of travel, it may already be included in the whole package of your tour. For instance, if you’re going by liveaboard, diving groups, and other group or private tours, then you likely won’t have to worry about this fee. The permit is another step to deter the harm mass tourism would always bring eventually. The good news is, the money is going to be used to fund the conservation effort. Conservations in Raja Ampat is among the global as well as national priorities. If Raja Ampat is attacked by streams of mass tourism, it will eventually lose the charm that attracts people in the first place. And by then, it’s too late to reverse the damage. It’s going to take decades to restore the place if it is spoiled by human hands through mass tourism. As mentioned previously, the funds from the entry permit is going to be used to help fund the conservation effort. So the extra fees you spent is not for naught and they’re going to go to a good place. So are you planning a dive for the next vacation? Whether planning a solo, partner or traveling group, Bali is the perfect vacation destination. Bali offers a special attraction for diving and non-diving tourists. The reason why tourists really like Bali is the beach and sun (sunrise and sunset). If you are a beginner, you must take part in training activities for beginners. It takes effort, perseverance, and intention to take a beginner diving course. It is appropriate that best scuba diving in Bali for beginners should not be missed. Why? Warm weather, friendly ocean currents and good visibility, make it as the best scuba diving in Bali for beginners. Some of the best scuba diving in Bali for beginners like Benoa offer a perfect underwater view. If your partner trip is with non-diving, Benoa is an amazing one. Enjoying the sea walker, paragliding or banana boat can make others busy while you dive. While the other best scuba diving in Bali for beginners is on Menjangan Island. Although the distance of Menjangan Island from the area of Kuta or Seminyak is a bit far, the island offers a comfortable resort for its visitors. As a National Park area in West Bali, the beauty of the underwater and coral and reefs should not be missed. Snorkeling is one of the activities for non-divers visitors. 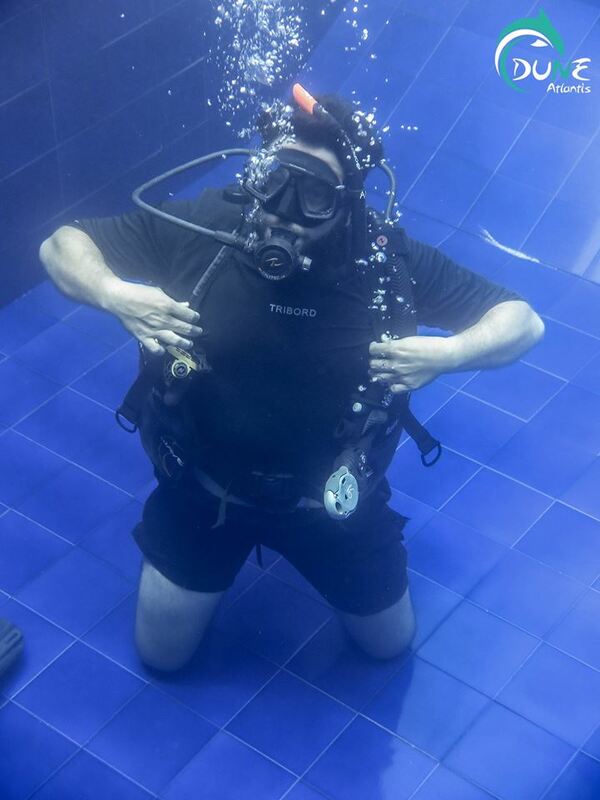 Scuba diving is fun but you have to understand the security side. Complying with the rules of diving is important. As long as you comply with regulations, diving will be the most interesting and memorable experience in your life. When non-divers decide to try diving, there are many dive operators who offer training packages for beginners. 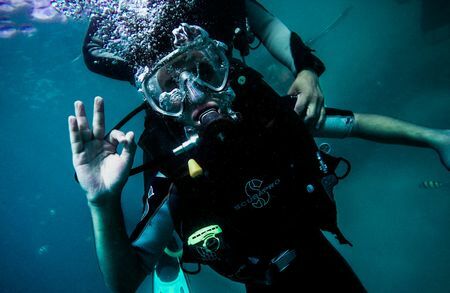 Whether you decide to dive in Benoa, Menjangan or other spots training and safety are the main ones for beginner divers. Best scuba diving in Bali for beginners is ideal for your perfect vacation. It is important for you to look for a trusted and best dive operator. Don’t be tempted by the price of a cheap training package. There are many training packages no matter you are beginner or professional. Learning diving skills is important and must be done as long as you still have an interest in diving. There are many dive spots that you can explore throughout the world. When you find a passion for diving, then you will be able to explore the other underwater. If you are serious about diving, then don’t miss the best scuba diving in Bali for beginners. It doesn’t need an expensive budget to become a diver.